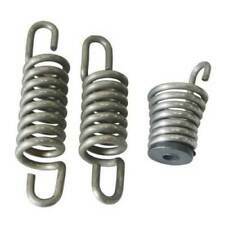 AV SPRING SET TO FIT MCCULLOCH CHAINSAW MAC CAT 335 338 420 438 435 440 442 (#271553662585) £5.48 View Item. AV SPRING SET TO FIT MCCULLOCH CHAINSAW MAC CAT 335 338 420 438 435 440 442 (#271553662585) £5.48. Parts are all genuine Zama and McCulloch NOS inventory. You are purchasing a Basic Repair Kit for a Zama M1-M7 Series Carburetor. Fits the following McCulloch Models We also have most of the remaining parts for the OBSOLETE McCulloch Chain Saw and Generators. Eager Beaver 3.7. Eager Beaver 3.4. Pro Mac 10-10. Pro Mac 10-10S. Pro Mac 610. Pro Mac 650. Pro Mac 605. Pro Mac 700. Genuine McCulloch/ Partner/Electrolux CHAINSAW BLADE 18” 1.3mm 3/8” CATEN 60D 3/8 1.3 18 "/ 45CM Item: 1 Chain for chainsaw in blister pack Thickness: 1.3 mm For McCulloch models: MAC CAT 330/839, MAC 538 / 538E / 539E / 540 / 540E / 542E / 545 / 545E, CALIFORNIA 42 cc / 90/2000, EUROMAC S41 / S43 / S44 / S45 P538. Does not include mounting gasket only the diaphragm. ·· 13-600041-34 TIMBER BEAR 07/90 to Current IPL 211627-->Engine Assembly. · 13-600041-35 TIMBER BEAR 07/90 to Current IPL 211627-->Engine Assembly. C1Q-M36 -M36A. C1Q-M33 -M33A -M33B -M33C -M33D. C1Q-M28 -M28A -M28B -M28C -M28D. 301325 McCulloch 14" Chainsaw Bar pitch 3/8" LP. 050" ga. A318 mount. Al-Ko: 301325. Remington: 301325. Bell: PICKPINE 16, PICKPINE 34, PICKPINE 38. Prec: 100, 200, 300, 400, 500, 812, 814, 816, 816AV, 840AV, 850AV. Part Number 65608. 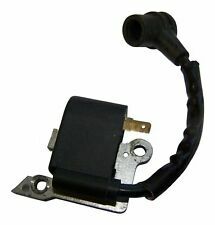 This assembly fits all Flat Back Carburetors used on the following McCulloch Chain Saws. We also have most of the remaining parts for the OBSOLETE McCulloch Chain Saw and Generators. 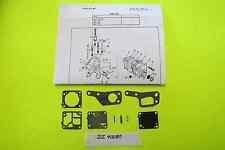 ONE NOS Walbro Carburetor WT-345,WT-345-L.
McCULLOCH: 214979, 300878, 65370, 86344, 86548, 95165. McCULLOCH: Pro Mac 55 & 60, 10-10, 10-10A, 155, 165, 210, 355, 375, 515, 55, 60, 605, 610, 650, 655, 700, 805, 850, 855. · 12-600041-14 PRO MAC 610 07/90 to Current IPL 218689-02-->General Assembly. · 12-600041-12 PRO MAC 610 07/90 to Current IPL 218689-02-->General Assembly. · 12-600041-11 PRO MAC 610 07/90 to Current IPL 218689-02-->General Assembly. Latch: 217235. Pro Mac 800. Pro Mac 805. Pro Mac 850. Pro Mac 310. Pro Mac 320. Pro Mac 330. Pro Mac 355. Pro Mac 365. Pro Mac 375. 12-600113B PM 355 07/82 to 02/85 IPL 216151-R1-->Powerhead Assembly. · 12-600113C PM 365 07/82 to 02/85 IPL 216151-R1-->Powerhead Assembly. IT IS TO SHOW WHERE DECAL GOES AND LOOKS . Oregon mount D176. McCulloch: 1-10, 2-10, 3-10, 4-10, 5-10, 6-10, 10-10, 10-10A,, 55, PRO MAC 55, 60, 555, 570, 605, CP-55, DOUBLE EAGLE 50, EAGER BEAVER 3., PM 605, PROMAC 5700, SILVER EAGLE 3420, SILVER EAGLE 3720, SP-60, TIMBER BEAR (EARLIER MODELS), TITAN 50, TITAN 57, 7-10, 560, 610, 620, 650, 655, 700, 800, 805, 850, 1000, CP70, CP70L, DOUBLE EAGLE 80, PROMAC 8200, SP70, SP80, SP81, TITAN 70. Full unused cans. The six cans pictured is what you will receive. MCCULLOCH MAC CAT 335 435 440 PARTNER 350 351 370 420 CHAINSAWS. Pro Mac 610. Pro Mac 650. Pro Mac 605. · 11-600072A PRO MAC 800 08/80 to 09/81 IPL 213799-R1-->Powerhead & Oiler Assemblies. · 11-600072B PRO MAC 800 08/80 to 09/81 IPL 213799-R1-->Powerhead & Oiler Assemblies. McCulloch: 215708, 64848. Mcculloch 215708. McCulloch: 10-10 series. 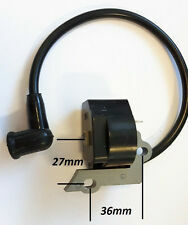 Stens Molded Fuel Line. Ethanol: Not compatible with greater than 10% ethanol fuel. · 12-400128-08 EAGER BEAVER 287BC 12/92 to Current IPL 211704-->Powerhead Assembly. Eager Beaver. · 12-400128-05 EAGER BEAVER 282 IPL 211703-->Power Head Assembly. · 12-400128-10 EAGER BEAVER 287 IPL 211703-->Power Head Assembly. Pro Mac 555. Pro Mac 55. Pro Mac 10-10. PART # 94210. NEW MCCULLOCH CARBURETOR KIT. PART # 53473. NEW MCCULLOCH REED PLATE COVER. PART # 85358. NEW MCCULLOCH CONDENSER FITS 10 10. IF YOUR PULLEY IS PLASTIC REPLACE WITH PLASTIC! IF IT IS ALUMINUM REPLACE WITH ALUMINUM. THE HOLE IS DIFFERENT SIZE. I HAVE BOTH. 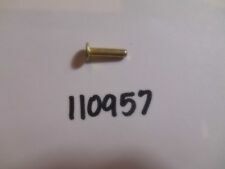 Genuine McCULLOCH 213261 94493 68796 67814 pawl pin spring kit chainsaw NOS OEM!